Founded in 1947 as a Catholic aid organization for war refugees and recognized as a papal foundation since 2011, ACN is dedicated to the service of Christians around the world, through information, prayer and action, wherever they are persecuted or oppressed or suffering material need. ACN supports every year an average of 5000 projects in close to 150 countries, thanks to private donations, as the foundation receives no public funding. ACN is a family composed of people around the world; all united we can help in more than 140 countries every year. ACN supports projects undertaken by the local Church – bishops, priests, religious communities and lay people – which have the specific aim of providing pastoral and spiritual support to Catholics all over the world. ACN only helps projects that have been approved by the local bishop (in the case of diocesan and parish projects) or religious superior (if the project is fully internal to the religious congregation). 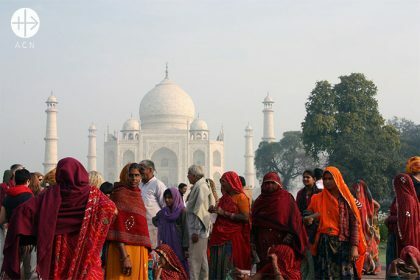 India has just begun its electoral process, which will take place in seven separate stages between 11 April and 19 May this year. Fears that this, the most populous democracy in the world, might end up becoming a theocratic Hindu nation have strengthened recently, in light of the fact that the Hindu nationalist party, the Bharatiya Janata (BJP) and its president Narendra Modi are seeking a second mandate. During its present term in office there has been an increase in interreligious violence, according to the report on Religious Freedom Worldwide by the international Catholic pastoral charity and pontifical foundation Aid to the Church in Need (ACN International). The figures speak for themselves: in 2016 a total of 86 people were killed and 2371 injured in 703 separate incidents of sectarian (Hindu fundamentalist) violence; in 2017 the figures were 111 killed and 2384 wounded in 822 separate reported incidents. The most recent attack – on March 26 – took place in Tamil Nadu against a Catholic school, the Little Flower Higher Secondary School in Chinnasalem, when a crowd of Hindu fundamentalists smashed up the school and even attempted to strangle the religious sisters who were running the school. ACN journalist Maria Lozano interviewed Bishop Theodore Mascarenhas, auxiliary bishop of Ranchi and Secretary General of the Indian Bishops’ Conference and asked him about the elections and the gravity of this recent incident. ACN: We have heard of the increase in attacks by Hindu fundamentalists against religious minorities in other parts of India, especially in the north of the country, but the brutal violence of this recent incident has shocked us. Was there any particular reason for the attack? Over the last year or so there has been a rise in fundamentalism in Tamil Nadu. Above all it has been the evangelical or Protestant so-called “house churches” that have complained of these attacks. There is an activist, who publishes on the web stories of groups of Christians being beaten up while praying in their house churches or some little church structure destroyed. But as the Catholic Church we have not had this type of open attack until this time, at least not such a big one, we have had small, small things. Two years ago there was a Good Friday incident; a mob did not allow us to worship in one place. So we have had incidents here and there. But the Protestant churches or Protestant groups or these smaller denominations have had a lot of problems over the last two years. So it did not come to me as a surprise that eventually we would be attacked. But that it took place on such a large scale is really frightening. ACN: It must also have been an enormous shock for the sisters of the Franciscan Congregation of the Immaculate Heart of Mary, who have been running the school for 74 years now. What is the present situation in Chinnasalem? And how are the sisters faring? It is a small town. And the sisters have been doing a lot of this work for very, very poor children. And in fact the hostel, the boarding school can take girls who come from very poor areas and poor families. I spoke to the sisters a few days ago and I spoke to the Archbishop also, and they say for the moment that some people have been arrested and we are waiting for some more people to be arrested. But for me it is not what happens after the incident. For me the whole thing we have to question is how such incidents can even come about in a civilised society. ACN: But apart from the incident itself and notwithstanding the gravity of it, are you concerned about the social dimension that this kind of attack implies? How is so much hatred being spread in society and how can we stop this hatred being propagated – that exactly is the question. There are groups that are promoting hatred and these groups are not being stopped, neither in social media nor in actual life, and they seem to be getting political privilege, patronage, and that is my worry, even political authorisation, and that is my problem. It is not that these small groups make demands against us or make charges against us or accuse us. The problem is that political leaders are actually encouraging them. In 2016 a total of 86 people were killed and 2371 injured in 703 separate incidents of sectarian (Hindu fundamentalist) violence. ACN: Do you think this increase in incidents in the last year is also related to the elections? It might be related to the elections but I think it is going long-term now. I have a very simple philosophy on this. Once you plant the seed of hatred, once you bring the beast, the animal of anger, hatred, violence, that animal cannot be controlled. And this is my worry. All those who are spreading this hatred must know what harm they are doing to society and that it will become difficult to bring back things under control; and if it cannot be brought back under control we will have a problem. Yes it is the minorities, but today I was just thinking of that beautiful poem attributed to a German Lutheran pastor: ‘First they came for the socialists, and I did not speak out-because I was not a socialist. Then they came for the trade unionists, and I did not speak out, because I was not a trade unionist. Then they came for the Jews, and I did not speak out –because I was not a Jew. Then they came for me – and there was no one left to speak for me’. So we use this now today because first you start with one minority and then the second. the Muslims are under attack, the dalits are under attackand we are under attack, we don’t know who next. ACN: Does that mean then that in the end this nationalist fundamentalism which the political leaders are promoting will actually damage the whole country? We must say one thing in all fairness. A large Hindu majority, and a large Indian majority of whatever religion we belong to, we are tolerant, we accept each other, and we live with each other, we have been living for thousands of years together, this is a multi-cultural, multi-religious diverse society, and we’ve been living with each other and enriching each other. Now we suddenly come to a situation where certain groups are getting strong and spreading this hatred around and that is not acceptable, because eventually it is the nation that is going to suffer from this. Not just the minorities. ACN: Is India heading towards becoming a theocratic nation like Pakistan? In 1947 two countries were born, Pakistan and India. Pakistan decided that it would be a country founded on a religion, Islam; our founding fathers in India decided we would not be based on any religion or any one culture but we would be multi-cultural, pluri-religious and with diverse languages and regions. And the country has lived peacefully after that. ACN: ¿But who are these new people who want to change what the founding fathers decided, and why? These are certain fundamentalist groups which come up in every society and fundamentalist groups always damage society. But when they start getting overt or covert support from the others then they become dangerous. ACN: What has been the reaction of the Christian community on hearing this news? Surely these incidents must make them feel very frightened? We as Christians, we trust in the Lord, we are not afraid. When I asked the sisters ‘Are you afraid?’ they said ‘No, we shall continue our work’. I think that is our spirit, we shall continue our work, we will not be afraid of anyone. We think of Jesus who told us ‘Be afraid of the one who can take care of your soul rather than those who can destroy your body’. So that is our basic principle. I don’t think anyone is frightened and we will go ahead with our work, we will continue serving the poorest of the poor. We know that this will bring us difficulties, this will bring us persecution, and this will bring us even hardships, but we will continue doing our work for the poor, for God and for Jesus. 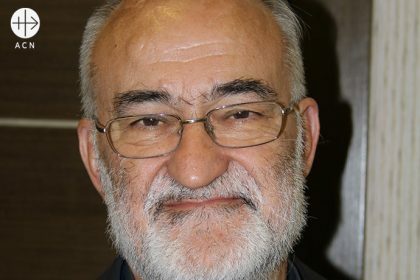 ACN: One last question: do you believe that it is precisely the fact that you are working with the poorest and most socially discriminated against is one of the reason why some people don’t seem to like the work of the Church? We have a saying in my own local language Konkani: ‘Stones are thrown only at a tree that bears fruit’. You don’t throw stones at a useless tree, only at a tree that bears fruit. So I think that one of the reasons we are under attack is that we are serving the poor, somebody does not like that we are serving the poor and this I believe is the real reason why the fundamentalists do not like us. ACN: The Central African Republic rarely hits the headlines. Nevertheless, there is a humanitarian tragedy unfolding there. Islamist rebels, non-Muslim militias and regular troops are fighting one another. And in the midst of it all is the civilian population. Again and again there are brutal attacks and atrocities. And they are continuing in your diocese of Bangassou. A mission station was attacked there on 31 December 2018, was it not? What happened there, and who was responsible? The town of Bakouma was attacked on 31 December 2018 by the armed rebels led by the warlord Nourredin Adam of the FPRC (Front Populaire pour la Renaissance de la Centrafrique, Popular Front for the Renaissance of the Central African Republic, a Muslim Seleka faction). The town was destroyed, and the Catholic mission pillaged. A week later there were still unburied bodies lying in the streets of the town. 9,000 people from the town of Nzacko who were living in a refugee camp there, fled into the bush in conditions that were unspeakable – in their haste to escape the violence of these very violent mercenaries. The people of Bakouma also fled! Many of them eventually arrived in Bangassou, 85 miles (130 km) away, exhausted, their lives in ruins. Our truck made several trips to and fro to help the exhausted refugees. In our “Mama Tongolo” orphanage there are still dozens of unaccompanied children who arrived in Bangassou in complete disarray, without even knowing where their parents are or whether they are still alive or not; whether they are still hiding in the bush, or whether they have stopped at some village or other on the way. A year ago the town of Nzacko, 50 miles (80 km) further north, was also attacked by these same mercenaries, most of whom are foreigners (from Chad, Sudan, Nigeria…). They drove every non-Muslim out of the town, so that the non-Muslim population have now lost everything, many of them even their lives. The Catholic mission was completely destroyed, razed to the ground – the presbytery, the operating theatre, fully equipped for major operations, the Catholic school, the old church and the new one as well… We feel especially persecuted by these radical Muslims. There are millions of ordinary Muslims in the world who love God and respect their neighbour. But these radical Muslims of the Seleka, who invaded Central Africa five years ago… they are bad people, they do not know Islam. Visit of the the bishop of Bangassou Juan Aguirre Muñoz to Brazil. Fazenda da Esperança. ACN: Again and again there are attacks on the refugee camps in the Church’s care. In November 2018 a refugee camp was attacked within the grounds of the Catholic cathedral in the town of Alindao. 2,300 people fled. How is their situation, and how do people cope with the ever present fear? What happened in the non-Muslim refugee camp in Alindao on 15 November last year was a crime against 26,000 unarmed refugees. There were 80 people killed, including two priests, Abbé Blaise Mada and Abbé Célestin Ngoumbango. As of today there are 550,000 internally displaced Central Africans living in the refugee camps. Many of them have been victims of criminal attacks, and even crimes against humanity. Similarly, other refugee camps have sprung up close to the Catholic cathedrals, as in Kaga-Bandoro, and even in the Catholic missions, for example in Bria, Ippy, Zemio, etc. 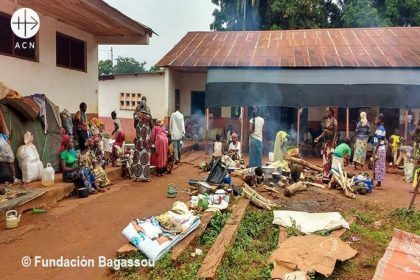 On 15 May 2018, 2000 Muslims from Bangassou were harassed and threatened by groups of Antibalaka (an incensed crowd of non-Muslim ‘self-defence’ groups and criminal elements) and were escorted to the mosque by soldiers of the UN Minusca forces. A few hours later the Minusca forces abandoned the area and 300 gunmen (irregular soldiers?) opened fire on the mosque, which was filled with women and children, attacking it pitilessly. 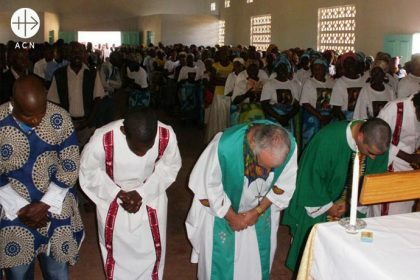 I went there with three priests and stood in front of the mosque, trying to persuade the Antibalaka to stop the killing. Over the course of three days they killed around 30 Muslims, despite our presence, standing in front of their guns for those three days. Afterwards, with the help of the Portuguese Minusca contingent, the Muslim community in Bangassou asked to be taken to the Catholic cathedral to shelter there. This Muslim refugee camp outside the cathedral in Bangassou has now been there for a year-and-a-half. The attacks by the Antibalaka are becoming less and less frequent. However, those of the warlords Ali Darass, Abdoulai Hissein and Alkhatin, are aimed at expelling the non-Muslims from the areas they have conquered, and ultimately they are seeking the partition of the country into two. For 10 months the Muslims occupy the Petit Séminaire of Bangassou: small, insecure places. Since then the MONUSCO (Blue helmets) protects the perimeter. ACN: On a superficial level one might think that what is happening in the Central African Republic is a religious conflict. 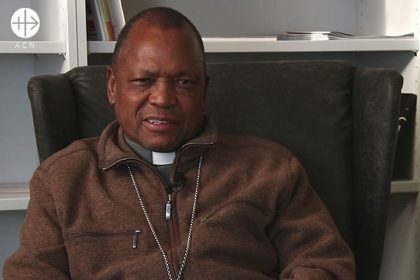 Cardinal Dieudonné Nzapalainga, the Archbishop of the capital Bangui, rejects this vehemently. 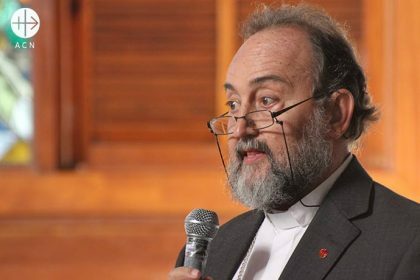 He has written to ACN that “It is absurd to assume that religion is the sole reason responsible for the chaos.” How do you see the situation, and what are the real causes of the civil war? The religious conflict is merely a smokescreen to hide the truth. Thousands of mercenaries –some of them Central Africans of the Rounga and Ngoula ethnic groups, but most of them foreigners – have invaded the country from the north, aided and armed by the Gulf states and by Chad, and with the complicity of other countries of the African Union, such as Sudan, Niger, etc. Their aim is to divide up the country, and they are helping themselves like pitiless predators to the mineral wealth of the country – the gold, diamonds, mercury, platinum, the livestock and so forth. Camouflaged beneath the appearance of a struggle between Muslims and non-Muslims (which is also a real one) or of cultural clashes, their underlying instinct is to loot the riches of the Central African Republic. ACN: The rebel factions seem to have an endless arsenal of weapons at their disposal. Do you know anything about those who are supplying them? Is there any way for the international community to help de-escalate the situation? Then again, for the past five years all the major decisions concerning the Central African Republic have been taken outside the country. There is a secret agenda to split the Central African Republic into two, driven by the Muslim countries and with the complicity of various other countries hiding in the shadows, such as Chad, Niger and Libya. But in the end, after all this politicking, it is always the poorest who pay the price, who have to pay the bills that they never signed. It is the women and the children, the lost young people who don’t know where to turn next, the girls and women who have been raped inside the refugee camps, the old people accused of sorcery, whom we are protecting in our Houses of Hope in Bangassou, the damaged children and war orphans… We, as missionaries of the Gospel, are there beside them, trying to support these poor people and give them some hope for the future, telling them that God is still Lord of history. Even though the NGOs are leaving for the sake of their own safety, the Catholic Church will always remain on the spot, alongside the poorest and most deprived. So often it happens, in moments of extreme peril, that the people run to the Catholic mission to seek refuge there. ACN: The spiral of violence is continuing, however. Christians are also taking up arms. What can you do as a bishop to prevent this escalation? For the past five years we have organised encounters promoting social cohesion between Muslims and non-Muslims, in order to open up a dialogue. We have set up platforms such as the Women for Peace, and inter-community meetings, to promote social cohesion. All this worked well. The moderate Muslim communities were willing to engage in the dialogue – right up to the time when the new acts of aggression took place, and so now the meetings have lost their raison d’être, because the non-Muslims are accusing their Muslim neighbours of complicity in their hearts. At the same time we have denounced all the crimes against humanity, both on the part of the Seleka and on the side of the Antibalakas, and even on the part of the soldiers of the Minusca forces, when some contingents failed to protect the civilian population and simply stood by while they were being massacred, as happened on 15 November in Alindao with the contingent from Mauritania. In many high-risk areas we have set up Catholic schools, both in the zones under control of the Seleka and those controlled by the Antibalakas. Thousands of children, both Muslims and non-Muslims, attend them, spending the morning there and mixing together, dressed in the same uniform. They play together, study together, associate together… At school they create a relaxed atmosphere that could serve as a model for the adults in the area. It is an investment for the future. Hats off to the teachers who are willing to go and work in such high-risk areas and support the priests, even at the risk of their own lives. ACN: How do you see the future of the Central African Republic, and what can organisations such as ACN do to contribute to its future development? ACN is already helping us in an important way. Our priests, our seminarians, our catechists, who remain there resolutely, like pillars of bronze, in some of the most difficult regions, were in many cases trained with the help of the foundation; you also supported formation sessions for Christian families… There are places in the diocese where many Christians have died a martyr’s death. The fact that there is still a Catholic school that is still actually functioning is already a miracle. And ACN is also a part of this miracle, because you are helping us to encourage these exiled families to return and rebuild their homes, helping for school, orphaned and refugee children… The missions of Bema and Zemio in our diocese are able to keep their schools running thanks to ACN and its benefactors. ACN is encouraging our pastoral workers, our religious and priests, by enabling them to take part in retreats and recharge their batteries, and to obtain aid for those who have been traumatised and are suffering from post-traumatic stress. The missionary Church is more alive throughout the world thanks to the grace of God and the work of ACN. Through your publications and media work you are able to show people the trials and tribulations the missionary Church is actually undergoing, all over the world. International attention will certainly be focused on Ukraine in the run-up to the presidential elections on 31 March. Otherwise, the war and the ongoing crisis there seem far away. Edward Kawa talked about how concern for the people in Ukraine is giving him sleepless nights. However, in spite of this, the 40-year-old Franciscan Minorite exudes a confidence in the faith that he also tries to pass on to others as part of his work as auxiliary bishop of the West Ukrainian archdiocese of Lemberg/Lviv. In Ukraine, the Roman Catholic Church is a small, but vital minority of approximately one million people. The Greek Catholic Church, which is united with Rome, has about five million members. 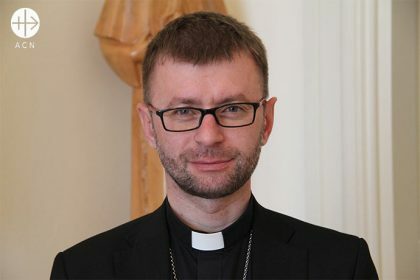 During an event held by Aid to the Church in Need (ACN) in Cologne, Tobias Lehner talked with the auxiliary bishop about resignation and new hope, the efforts of the church for the populace and why young people want to remain in Ukraine in spite of the difficulties. ACN: In late 2018, Ukraine once again became the focus of public attention: conflict broke out on the Crimean Peninsula, which has been annexed by Russia, over the transit rights of Ukrainian ships. As a result, martial law was declared for 30 days. How prevalent is the fear of war among the people? Auxiliary bishop Edward Kawa: The fear is omnipresent – and not only since martial law was declared. After all, the war already started in 2014: first with the “Revolution of Dignity”, that is, the bloody protests on Kiev’s Maidan square, then with the annexation of Crimea and the fighting in eastern Ukraine. The situation remains very tense. The war in eastern Ukraine, which has in the meantime entered its fifth year, is being carried out practically “closed to the public”. Little is reported by the media. The people in the affected regions around Donetsk and Luhansk are isolated. What do you know about their situation? I am in contact with many people living in the war zone. They are suffering from an extreme lack of material goods. The situation is particularly dramatic in the district of Luhansk. The people are weary of the conflict between Russia and Ukraine. All they want to do is to live in peace. There are small Catholic churches in Donetsk and Luhansk. These are always full. The people are yearning for oases of peace. This is what the Church is trying to be for them. Many in the West have also not forgotten the protests on Maidan square in Kiev that lasted from November 2013 to February 2014. What role does this “Revolution of Dignity” play for the people in Ukraine today? After the protests on Maidan square, many people hoped for change. However, not much came of it. That was a disappointment. Many people are worse off than before. They are still yearning for dignity. This yearning is very strong and is also tangible in the prayers being said in Church. The people wait and expect that the situation in Ukraine will improve. Due to increasing food prices on the annected Krim, the dicocese provides food packages – especially for Christmas and Easter. ACN supports this. You were the youngest bishop in the Universal Church at your ordination in May of 2017. Your work also brings you close to the youth. Many of them no longer see a future for themselves in Ukraine and go abroad. Can this trend be stopped? One of our main goals is to remain in contact with the young people, whether they only go abroad for a short time or forever. We want to make sure that the young people feel part of a community and know that they are welcome at any time. The young men and women should not live their Christian faith anonymously in other countries. To achieve this, we try to encourage them through exchange, seminars and encounters. We address topics that are important to young people today. My impression is that the young people who discover this community for themselves no longer want to leave their country, in spite of all the difficulties this brings with it today. They want to remain and make a difference. 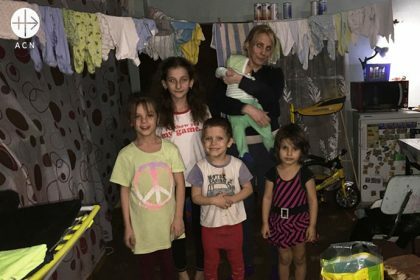 The Christians in Ukraine continue to be at fourth place of the list of countries that are supported by Aid to the Church in Need. What is your message to the benefactors? Everywhere in the Ukraine we can see the signs of help from Aid to the Church in Need that God has given us. This help has enabled our Church to flourish again after communism. We are thankful for this every day. We know that this support will also bear fruit in the future. Thanks to the help of Aid to the Church in Need, we have also realised that we in the Ukraine are not isolated. Our Church is like a family: you just have to share everything you have with your siblings. The universality of the Catholic Church becomes palpable in many places where Christianity is in the minority, including Morocco, a country with 37 million inhabitants, 99.9% of whom are Muslim and only 0.08% are Catholics. A small, but great Church carries out its pastoral work among the Catholic faithful of the country. Primarily, however, the Church supports the most disadvantaged among the Moroccan population and the thousands of young people who cross the desert from sub-Saharan Africa looking for a future in the idealised Europe. Pope Francis is planning to travel to the region situated at the border between Africa and Europe on 30 and 31 March and, in response to an invitation issued by King Mohammed VI and the bishops in the country, visit the cities of Rabat and Casablanca. María Lozano held an interview with Monsignor Cristóbal López Romero, the bishop of Rabat, for a television broadcast produced by Aid to the Church in Need (ACN) . The Salesian of Don Bosco talked about what it means to live and work in this North African nation. Mgr. Cristóbal López Romero, Archbishop of Rabat, Morocco. 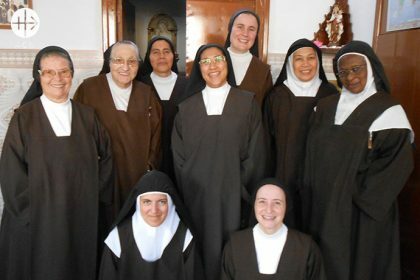 Elevator in favour of the Carmelite Sisters in Tanger: Group picture of the Sisters at the Carmel in Tanger. Does religious freedom exist in Morocco? An entirely different issue, which Pope Francis will surely be confronted with during his trip, is the status of religious freedom in the country. As the pontifical foundation ACN concluded in the Religious Freedom in the World Report 2018, according to its constitution, the Kingdom of Morocco is a sovereign Muslim state. Article 3 reads: “Islam is the religion of the state, which guarantees to all the free exercise of beliefs.” However, the constitution prohibits political parties, parliamentarians or constitutional amendments to infringe upon Islam. The European Parliament acknowledges that religious freedom is constitutionally enshrined in Morocco, but adds that “Christians and especially Muslims who converted to Christianity face numerous forms of discrimination and are not allowed to set foot in a church.” Under the Moroccan Penal Code, proselytism by non-Muslims, that is to “shake the faith” of the Muslim population, is illegal. The distribution of non-Islamic religious materials is also restricted by the government. Ethiopia is a multi-ethnic state in East Africa; Christianity has been established there for almost 2000 years. At about 43 per cent, the majority of the population is Orthodox Christian, but Islam is on the rise at 34 per cent. The Catholic Church only arrived on the territory of what is today Ethiopia in the 19th century. Its members are only a minority at one per cent of the population. In spite of this, the Church plays a very important role in the educational system and is active in caring for the poor, which has given it an esteemed position in society. 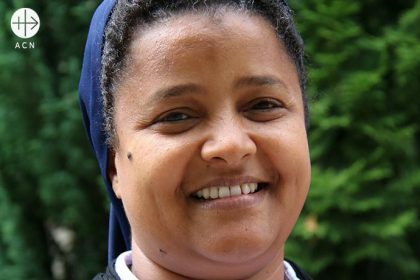 Sister Medhin Tesfay (44) has belonged to the Daughters of Charity of Saint Vincent de Paul (Vincentians) for 26 years and works in the diocese of Adigrat in the northern part of Ethiopia. She talked about her work and her vocation with the pontifical foundation Aid to the Church in Need (ACN). The interview was held by Eva-Maria Kolmann. Sister Tesfay Medhin of the Daughters of Charity of St Vincent de Paul of the Tigray Region, Eparchy of Adigrat, in Ethiopia, during a visit to “Aid to the Church in Need”. Sister Medhin, you belong to the Daughters of Charity. Please tell us a little about your work! One part of our work is taking care of children and adolescents who are living on the streets. Some are orphans, others have run away from home because of conflicts within the family. The fathers are often alcoholics and physically abuse their families. In other cases, there are psychological disorders within the family. For example, we are currently taking care of a girl whose mother has a psychological disorder that leads her to bring home all the garbage she finds on the streets. She throws all of the refuse on the bed and scatters it across the family’s small living area. There is no space left in the home for the child. We sisters visit the family members of the children to show them esteem and love and offer them our help. We listen to them and give them advice. In some cases, the problems can be solved and the children can return to their families. We support them and their family members in this process. If this is not possible, the children stay with us. We make sure that they can go to school and that they have everything they need. But we also take care of the sick, for example those infected with AIDS, and run an eye clinic. We provide medical care, but it is also important to listen to the patients and to give them assistance and help of all kinds, also emotional and spiritual. What do you consider the spiritual foundation of your service? The founder of our order, St. Vincent de Paul, said, “Ten times a day a sister will go to visit the sick poor; ten times a day she will find God there.” That is exactly what has been my personal experience and I get a lot more back than I give! In carrying out our work, it is important to always look beyond the superficial outward appearance. A person can be completely filthy and dressed in rags, but we need to recognise Christ in him. On the other hand, you should not turn anyone away just because he is well dressed and affluent and you don’t believe that he really needs help. Even the wealthy can be in great spiritual need. Supposed beauty or ugliness cannot be a criterion for us; instead, we always have to see Christ. But how do you deal with the extreme poverty that you are faced with? I consider the poverty that I am faced with a challenge to never cease doing good. The word “laziness” is not a part of my vocabulary. I have to give my best and use the abilities and opportunities that God has given me. The poor can also never rest. Most of the people here are day labourers. If they don’t do anything today, then they will not have anything to eat tomorrow. With everything that I see, I do not want to waste any time, but answer the call that God has directed to me: namely, to love these people in the same way as God loves them. 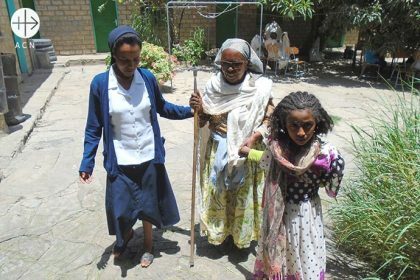 The work of the Daughters of Charity of St Vincent de Paul at Eparchiy of Adigrat in Ethiopia: Children from feeding program with Sr. Medhin. How did you discover your own calling? My family provided my first formation in faith. My parents, who were very deeply rooted in their faith, taught us to esteem God. They raised us in God’s love, the God who became incarnate and who loves us. There were religious sisters in our village who worked in a clinic. When I was a pupil, I watched them carry out their service and felt a strong desire to do the same. I prayed, “Dear God, one day I also want to be like them!” Their example led me to the religious life and when I finished school, I joined the Daughters of Charity. That was 26 years ago. I wanted to change the lives of people in need out of a love for God. It was not that I didn’t have any other choice and all other doors were closed to me. No, although I had a large number of options, this was the path I chose and I am happy! If I were given the choice again today, I would do the same. Has the relationship between the people and the faith also changed in Ethiopia since your childhood? Yes, I believe so. Overall, there have been many changes. In many families, not all members share the same values. It is not uncommon for family members to belong to different religions. Many families fall apart. Overall, the faith is in decline. People think that they do not need God and that they are not dependent upon their family. Today, globalisation, the media and individualism play an ever more important role. In particular, for many the sacraments no longer hold the significance they once did. Today, the faith is in decline. Of course there still are deeply religious people, but overall, many things are changing. What do you believe the Church should do to bring more people back to the faith? First and foremost, the Church has to carry out its main task: the proclamation of faith. Life is meaningless if the spirit is not nurtured. Without Christ, there is no inner peace and everything just runs like a machine. We have to return Christ to the very centre of our lives. And no matter what else the Church does in terms of charitable activities, the spiritual always has to come first. Ethiopia is one of the priority countries of the pontifical foundation Aid to the Church in Need. Last year, the local Catholic Church received aid amounting to more than 1.36 million euros. The main areas of support were the building of churches and chapels, offering formation to priests and religious, helping parishes that extend over wide areas carry out pastoral care by supplying motor vehicles as well as supporting the work of religious sisters. Peace still has not come to Mozambique. For Bishop Adriano Langa of Inhambane, “the wounds left behind by war are not as easy to close as a tap.” The traces and aftereffects of the many years of armed conflict are still visible throughout the African country. During a meeting held at the international headquarters of the pontifical foundation Aid to the Church in Need (ACN) in Königstein, Germany, Bishop Langa explained that there is still quite a way to go before it will actually be possible to live in peace. Bishop Adriano Langa of Inhambane. “We say that the war continues to claim lives even though the guns have fallen silent,” he said. “We have yet to overcome the aftereffects of the war fought to gain independence from the colonial power, the civil war as well as the political tensions of 2014 to 2015 … and it will take a very long time for them to disappear. It is something that cannot be seen, but still exists.” The civil war in Mozambique, which lasted from 1977 to 1992, cost the lives of almost one million people. Moreover, an estimated five million people were forced to leave their homes and their homeland. In spite of the peace agreement signed in 1992 the spectre of war could never be banished completely. ACN supports the church in Mozambique with subsistence support to priest and religious sisters as well as with financial aid for formation and building projects. Jihadist attacks in the North? As though this were not enough, a wave of violence was unleashed in October of 2017 in the northern part of the country, in the province of Cabo Delgado. Extremely violent attacks were carried out on villages, during which houses were destroyed and people killed. It is estimated that over one hundred and fifty Mozambicans lost their lives during these attacks, but none of the known groups have claimed responsibility for them. This has given rise to all sorts of speculation, including a direct link to radical Islamist groups. The civil war in Mozambique, which lasted from 1977 to 1992, cost the lives of almost one million people. The civil war has had a dramatic effect on Mozambique: in addition to the numbers of deceased, injured and displaced, the entire country was plunged into underdevelopment. In 1990, while the civil war still raged, Mozambique was considered the poorest country in the world. Today, the prevailing poverty is another sign that the “tap” of war has not been completely turned off yet. The Church is aware of the problem. 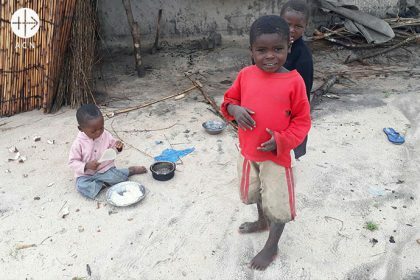 According to Bishop Alberto Vera, president of Caritas Mozambique and bishop of Nacala, the poverty rate primarily rose in rural areas this year and prosperity has only increased in the circles of the political and financial elite. This has only deepened the chasm between the country’s rich and poor. ACN supports the church in Mozambique with subsistence support to priest and religious sisters as well as with financial aid for formation and building projects. The foundation funded projects in 2017 with almost 650,000 euros in grants. ACN – Aid to the Church in Need gGmbH, HRB 8446 is non-profit organization officially registered in Germany and audited internationally by KPMG.